Keiro will host its annual Caregiver Conference at Pasadena Buddhist Temple, 1993 Glen Ave. Pasadena, on Saturday, March 30, from 9 a.m. to 3 p.m. This free, one-day conference continues Keiro’s work to support and equip informal caregivers with practical knowledge and enhance the quality of care that the community’s older adults receive. 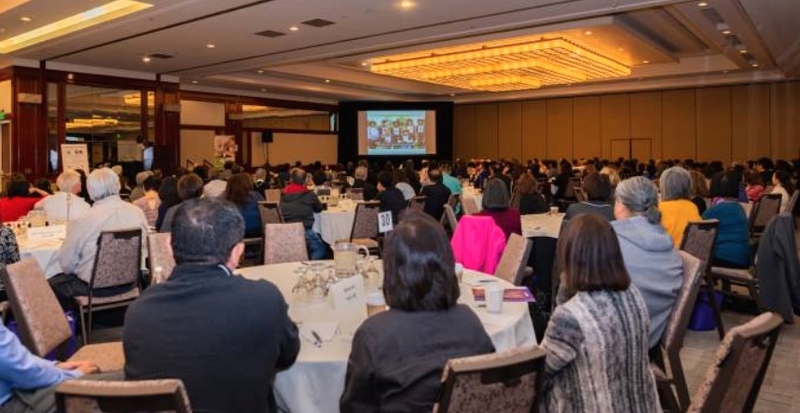 The conference planning committee, consisting of Pasadena Buddhist Temple, Pasadena Nikkei Seniors, Altadena First Presbyterian Church, and Pasadena Japanese Cultural Institute, has assisted in determining specific content for the conference and providing event support. This year, the conference will feature two keynote speakers. Patty Watson-Swan, RN, BSN from Huntington Hospital Senior Care Network will speak on how best to manage caregiver stress. A moderated panel will discuss how the Iyashi Care program can assist with the challenges of caregiving resulting from complex family dynamics. The moderator will be Kevin Onishi, Keiro program & innovation manager. Attendees can also choose from three breakout sessions: Mobile Caregiving, Hands-On Caregiving, and Preparing for In-Home Care. As in past conferences, attendees can take advantage of free consultations with an attorney, pharmacist, or social worker, available with pre-registration. During the hosted bento lunch, a resource fair composed of nonprofit organizations and businesses with a focus on helping older adults will be available for attendees to explore. Registration is required and is available until Friday March 22, on the Keiro website, www.keiro.org/caregiver-conference, or by calling (213) 873-5708.